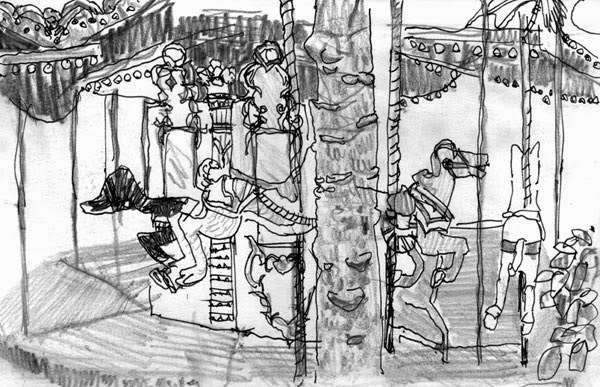 Attempt to draw the carousel. It kept moving! Amy, I really like the absence of color in these sketches. It adds a real reportage feel to it. 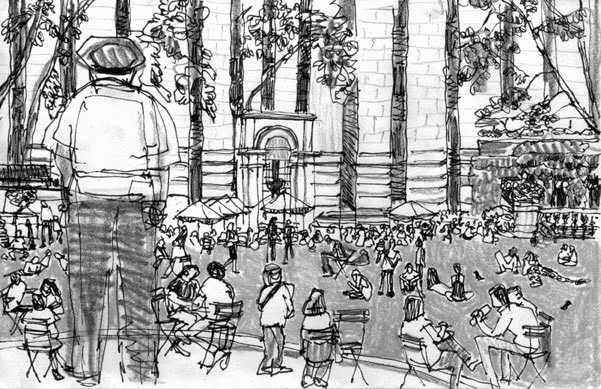 The large scale figure in the first sketch adds to the depth of the park. Nice series! Agreeing with Susan. Black and white creates an immediacy. 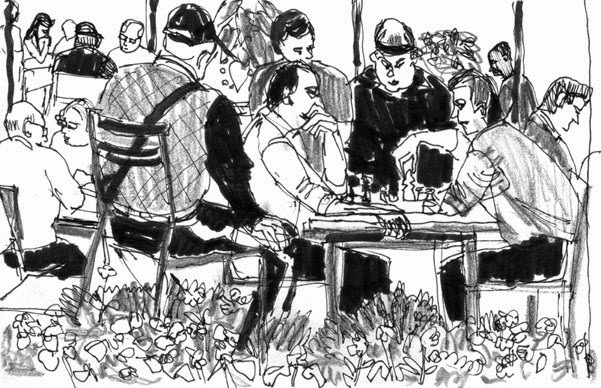 My fav = the Chess Players.